Impasse in the United States. Kalt Gestellt in Germany. Order here. 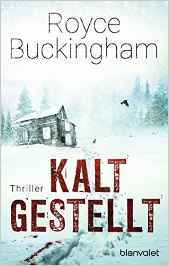 Written exclusively for the German market, order here. New to the series? Check out books I and II below. 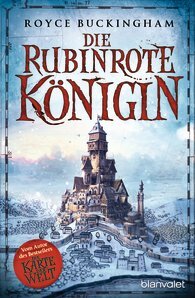 Die Karte Der Welt debuted and quickly climbed to best seller status in Germany! An epic medieval fantasy, the story whisks a peasant farm boy on an adventure into lost lands that he draws. Die Karte Der Welt is full of exotic people and ferocious monsters featuring heroics, humor, thought-provoking themes with a touch of romance. This is Book I of a three part series. Die Karte Der Welt is Royce’s first medieval fantasy and the first of a trilogy. 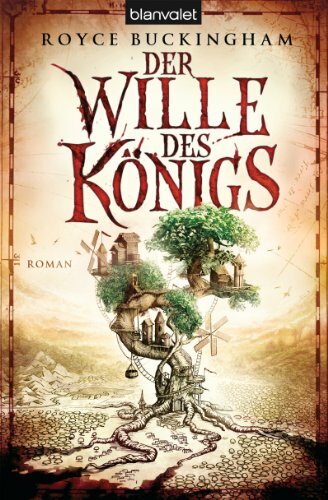 Fans are anxiously awaiting Book II, Der Willes des Konigs, which is due out in September, 2014. Royce is busy penning Book III, which will be released in 2015. An interesting fact about the series: It is only available in Germany. That’s right, Royce pitched the story idea directly to his editors in Germany. Not that he wouldn’t like it to sell in other countries, especially in the U. S. Royce is very appreciative that his editors at Random House – Penhaligon and Blanvalet gave him the creative freedom to write material untested anywhere else. Ian Krystal is a simple soldier who has been sent across the sea by his king to settle untamed lands. where others clash with the wild indigenous societies, Ian and members of his clan succeed in negotiating a peaceful coexistence. But when Ian is ordered to betray the indigenous folk and purge the land completely using spear, sword, and an ancient dark magic, he must decide whether to obey the King he serves, or honor the promises he’s made to his new friends. Der Wille Des Konigs (Mapper II) is the prequel to Royce Buckingham’s bestselling medieval fantasy debut in Germany.